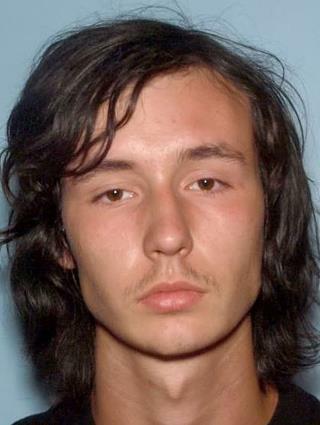 (Newser) – A 20-year-old man was arrested Wednesday in Georgia in connection with the murder of two 17-year-olds behind a Publix grocery store, the Atlanta Journal-Constitution reports. The bodies of Natalie Henderson and Carter Davis were found by a delivery driver Monday in Roswell; each had been shot in the head. According to WXIA, police arrested Jeffrey Hazelwood after interviewing him at police headquarters. Authorities wouldn't say if or how Hazelwood knew the victims or give a possible motive for the killings. They do believe Hazelwood is the only suspect in the murders. You really think that guy looks Caucasian? Maybe his name does. You have a good satiric point but save it for a story about a Caucasian guy. When are the Caucasians going to deal with the white-on-white crime that has been plaguing their communities for centuries? We know it's tough for y'all, with the lack of educational. recreational and social activities available to you, not to mention an educational system that breeds failure and the rampant discrimination you face from the time you folks get out of bed every day. Midnight opera might be a good start to keep these wayward souls on the right track, especially in the underserved neighborhoods. Publix just can't compete with Red Apple on quality meats.